Carlsberg city district in Copenhagen is a historical brewery area which is developed as a new office district. With over 160 years of history, the 33 hectares of brewery grounds are part of Denmark’s cultural heritage. Over the next 15-20 years, the site will become a vibrant, diverse and sustainable new city district. Our challenge was the logistics on the jobsite. The job site is in the city center and we had short time frames where it was allowed to enter with big trucks and bulk trailers. The capacity (tons per hour) and availability on our pump trucks, was a challenge. In office areas the substrate were hollow core slabs. These were first treated with Primer 4716 and then weberfloor 4350DK was pumped in the areas with the weber pump truck. 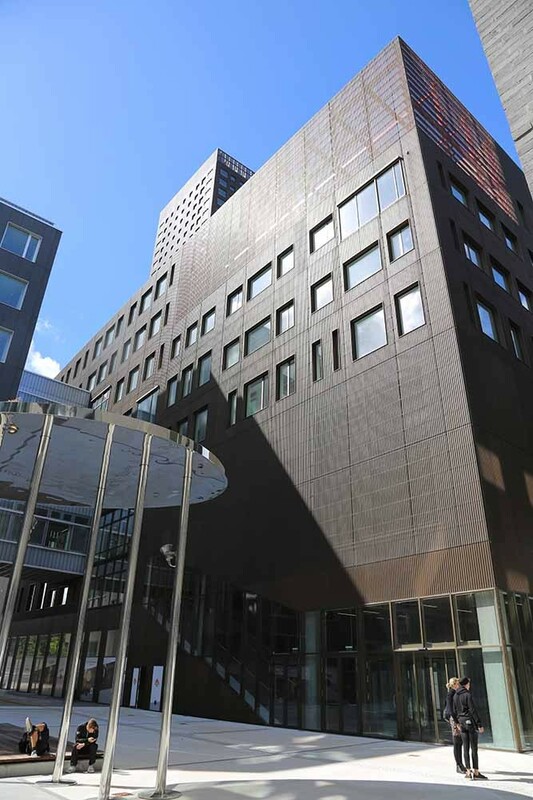 For the parking area weberfloor 4630 was used in the entrance area in 10-20 mm thickness. 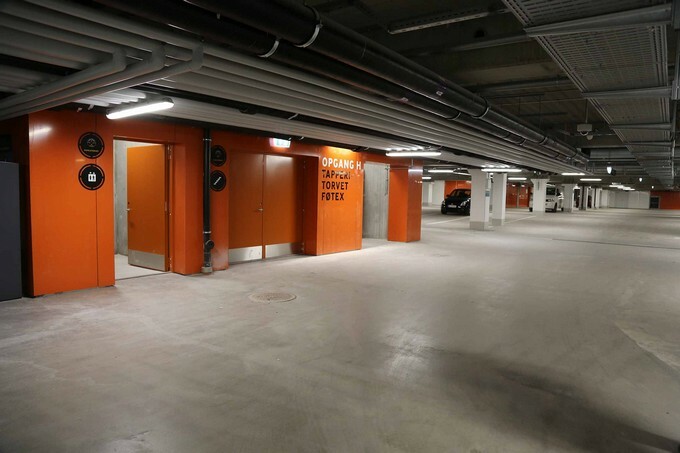 For the indoor parking weberfloor 4610, 5-15 mm, was used on hollow core slabs or in-situ cast concrete. 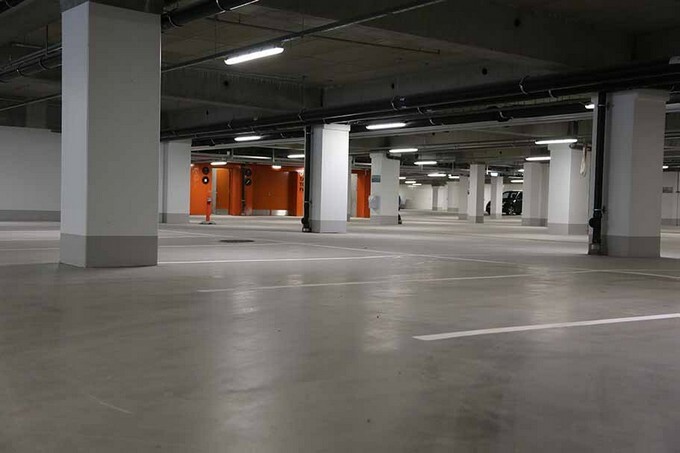 As surface protection in the parking a dust binding agent was applied.